I swear I will wrap up the rest of these travel updates by the end of next week. What's the hurry? We've only been home 2 months! LOL! 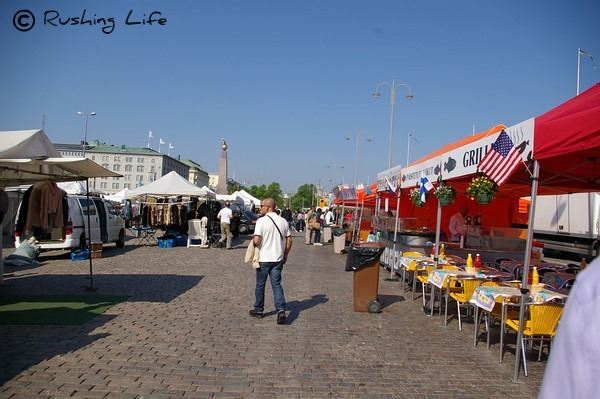 Anyway... our second to last city was Helsinki, Finland. After Puff threw away our one and only map, we lucked out that a bus company was on the pier and handed us one. This promptly lead us to attempting to navigating the streets toward the market square, but misjudging the distance. A few blocks of walking plus a cab ride later, lead us to this place. The Market Square was right on the waterfront and was a ton of fun! We didn't pick up any food or the amazing flowers they had, but we did rack up on lots of good souvenirs! (It didn't hurt most stands took credit cards.) Puff walked away with a keychain and a letter opener made from reindeer antlers. The Soumenlinna Fortress (hope I spelled that right) is a UNESCO World Heritage site and is in the bay, about a 15 minute ferry ride away. 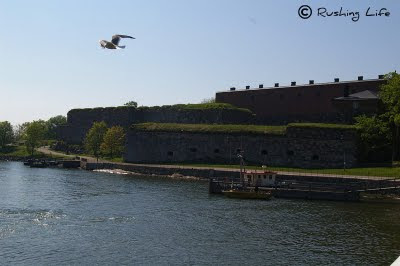 As I've mentioned before, Puff and I had difficulty finding things to do in Helsinki. I was glad we made the choice to check out the fort, as it provided a great way to enjoy the beautiful 70+ degree, sunshiney, day. We popped in and out of old buildings, stopped a creepy Japanese tourist from photographing Finnish school children, and ate homemade lollipops. 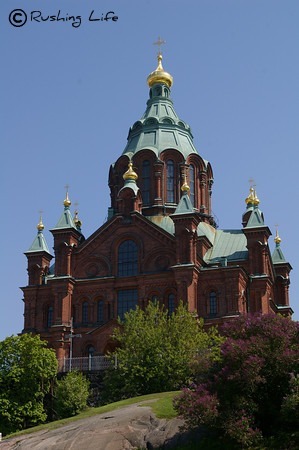 Back on the mainland, we strolled just a few short blocks to Upenski Cathedral. Unfortunately, after we hiked all the steps, we realized it wasn't open to tour the inside. ::shrug:: The view of the harbor was nice, and again, since it was a fairly empty day, we just rolled with the punches. We also checked out another church (HERE) and did some shopping. Lunch along the Esplanade Park was followed by a hike back to the ship, which took well over an hour. No mind to us... we ended up in a cute neighborhood where we stopped at a convenient store and bought lemon-lime sandwich cookies! They're divine! All told... Puff and I won't be high-tailing it back to Finland any time soon. That doesn't mean we didn't like it. It was clean and the people were nice. It was just kinda, well... boring.